A few days ago I got a message from a reader, Amber, who was looking for some healthy on-the-go breakfast ideas to serve her kids who are heading back to school this week. Though I don't yet have children of my own, the ideas came rolling out because, when it comes to simple, healthy meals, children really aren't that different from adults. The spices and portions may vary, but for the most part, these recipes will work just as well for adults as they will for the kids. Mornings can be crazy. Even with a lot of planning, that's just what happens when you have to get multiple people of different ages and personalities ready and off to different places in a short amount of time. And because of that, I understand why the idea of skipping it, buying something at the drive-thru, or reaching for a box can seem appealing. Any additional thought or energy--even just a couple minutes--can seem impossible at that time. But it's important to recognize that those options will ultimately do more harm than good; processed options are loaded with sugar, sodium, unhealthy additives, and empty calories that won't do much to keep you (or the kids) functioning at your best. This is incredibly important if you're feeding children because while we may need the food for energy, they need it to continue the growing and developing process. That's we're these recipes come in. Easy and totally from-scratch recipes, these recipes can all blissfully be prepared in advance--most in just a matter of minutes! Grab a few moments on a Sunday afternoon and prepare a couple of these options. You'll be set for breakfast for the week, saving you time and money. Another idea? Whenever possible, be sure to get the kids involved in the planning and preparation of these dishes. Not only is it great quality time, but getting kids in the kitchen early is the absolute best way to encourage a lifetime of healthy eating and cooking. Start them off with a few simple tasks--garnishing or washing vegetables, then increase the duties as their skill and interest develops. I still have very clear memories of making salad dressings as a little girl; my mom would tell me the basic proportions and then let me add whatever I wanted to the blender and often, the combinations where great. I once added a whole cucumber to a vinaigrette and we ended up with a wonderful cucumber dressing. I was probably about 6 when I came up with that and I have no doubt that those tiny first successes are what drove my current passion. An added bonus for parents of picky eaters? Letting them help with the cooking will also make them more interested in the dishes--and consequently less likely to toss them away or turn them down come eating time. Shaped like little balls of candy, these homemade breakfast truffles pack tons of nutrition in an adorable little package. Loaded with protein, fiber, dates, nuts, seeds, good fats, and tons of vitamins, minerals, and antioxidants, these no-cook treats will keep everyone fueled from the morning rush all the way through to lunch. These are made with peanut butter, but if your child is allergic or your school doesn't permit peanut butter on the premises, you can easily substitute sunbutter (made with sunflower seeds) or almond butter instead. Like all the best time-saving recipes, these power truffles can be made in advance and will keep well in the refrigerator for several weeks. You can even get the kids involved by asking them to help you shape and roll the truffles (it's like play-doh, but totally edible!). Grab a few in the morning or leave them out as a healthy afternoon snack. If you're looking for a homemade from-scratch alternative to processed protein or "nutrition" bars, these are a great option; grab a few on the way to the gym or toss some in your bag for recovery on the way home. This easy take on the classic frittata is made in muffin tins for instant portion control (and to make them easy for little hands to handle). Just as good cold as they are hot, these can be individually wrapped and grabbed out of the fridge while everyone is running out the door. My version is packed with diced zucchini, yellow squash, herbs, onions, grated cheese, turmeric, and just a tiny bit of chorizo for flavor, but you can customize these to your liking. There is no need to spend money on overpriced yogurt cups full of sugar and preservatives. (Not to mention the waste caused by tossing out those plastic cups each morning.) Customize your own to-go yogurt cups by layering plain yogurt in small mason jars. Start by filling the bottom with plain yogurt (a thick Greek yogurt is a great option) then let kids pick out their favorite all-fruit preserves or honey. Add sliced almonds, shredded unsweetened coconut, cocoa nibs, or low-sugar granola, spices (like cinnamon or nutmeg) and seal up the jars. The lids will make everything stay put and can be resealed in case of leftovers. These can be made up to two days in advance, and letting kids participate in making them or adding the toppings is a great way to both spend time with them, and instilling good habits of cooking good, healthy food for themselves. Bonus Ideas: Swap out the yogurt for cottage cheese or ricotta. Or make a savory version topped with slow-roasted tomatoes (like #4 on this list), herbs, or even a dollop of pesto and some crumbled bagel or tortilla chips for crunch. Let's be honest, most commercially available granola bars are little more than glorified candy bars! 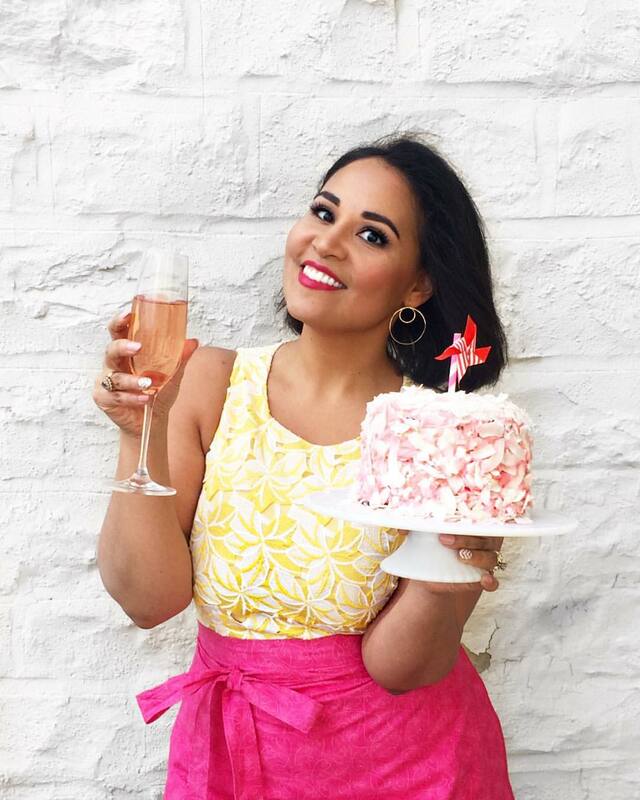 Packed with sugar, fats, and tons of unhealthy additives, they're not anything you want to serve to growing and developing bodies (or, for that matter, already grown and developed ones!). Step away from the processed "treats" and prepare a batch of these chewy and easily customizable homemade granola bars. Made with nuts, oats, seeds, raw honey, and lots of other good stuff, these are a great alternative that you can feel good about giving to your children (or eating yourself). These also work well as an after school snack and are great to keep in your purse or car for emergencies. These will keep well for at least a month; for ease, individually wrap them and keep in your fridge or an air-tight container at room temperature. This traditional Spanish egg and potato dish is a wonderful on-the-go breakfast idea because while it can be eaten hot, it's actually best served cold or at room temperature. The layers of potato, egg, and gently caramelized onions make it a firm and easy hand-held breakfast. In my recipe, the skins are left on the potatoes before slicing; this increases the nutrients in the final dish. You can also add sauteed mushrooms, baby spinach, red peppers, or other vegetables you may have in your fridge. Let the dish cool completely overnight in the fridge, then slice into triangles or squares for easy grabbing in the morning. If you'd like, you can even tuck a pieces between two slices of hearty, whole-grain bread to keep active bodies fuel-packed throughout the morning. You might be wondering what ice cream is doing on this list of healthy breakfast ideas, but here's the secret: this is really just pureed fruit! Bananas, frozen and pureed, develop a wonderful creamy texture that is practically indistinguishable from ice cream! With this in mind, I added peanut butter for protein and good fats (you can use sun butter or almond butter, if you prefer), plus some unsweetened cocoa powder (loaded with antioxidants), and just a touch of honey for sweetness (the ripe bananas are actually very sweet naturally so the honey just enhances that). 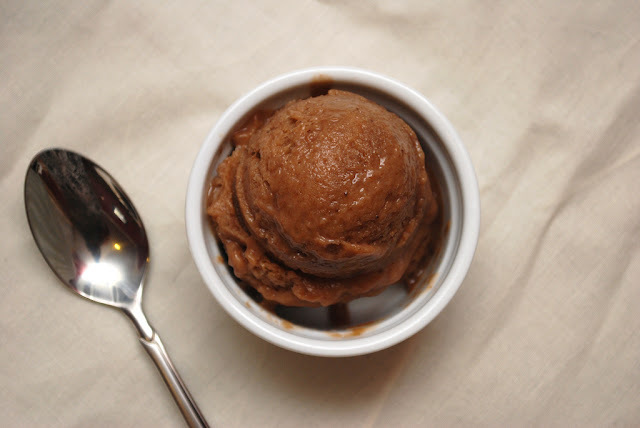 Pureed together and then frozen over night, the result is a creamy, scoopable "ice cream" that's totally acceptable for breakfast! This may not be an everyday treat, but it would be especially good for one of those hot August or September mornings. Egg salad might not seem like a traditional breakfast idea, but it's actually a perfect solution. Best eaten cold and made in advance, you can prepare a large batch of it then serve it spread on toasted whole grain bread, on a whole wheat bagel, or in a small cup with a spoon for a to-go option. This version adds a touch of natural sweetness with caramelized onions and smoked paprika, but feel free to keep your version plain. To lighten the dish, replace half the mayo in the recipe with plain Greek yogurt; it'll infuse a little extra protein and some healthy live active cultures into the mix. This is my own go-to breakfast on those busy weekday mornings, and it's one I know the kids will love. 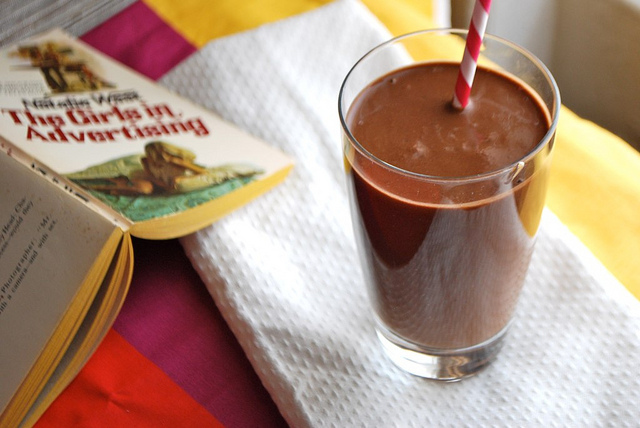 Creamy and thick, it's practically a milkshake, but made with almond milk, unsweetened cocoa, ripe bananas, and peanut butter, there is nothing but goodness in this class. This is one smoothie that keeps very well for a few days so you can make a big batch and then portion out in individual to-go cups or even mason jars (just shake a few times and then unscrew the top for drinking; close it up again to prevent spills of leftovers once the kids get out of the car). 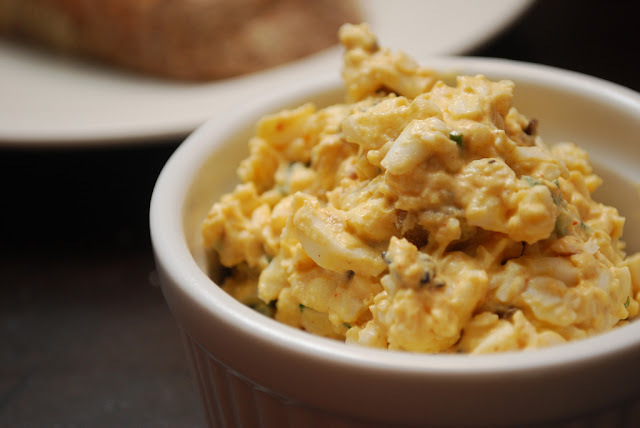 Scrambled eggs are quick, but in the mornings when time is tight even that might seem like too much. 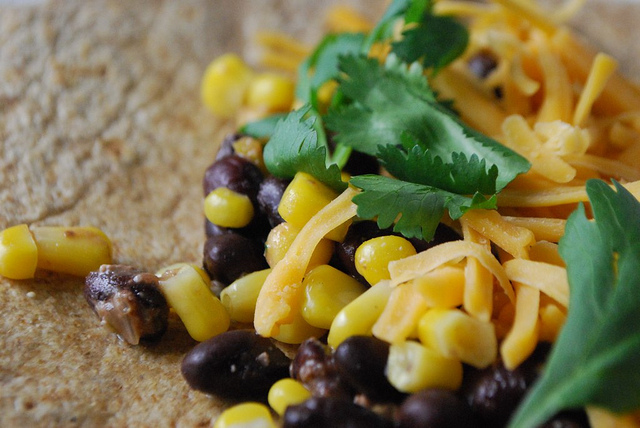 Skip the scramble with this easy make-ahead burrito featuring black beans, steamed corn, and cheese. The bean and corn filling can be prepared well in advance and rolled into whole wheat or corn tortillas the night before and wrapped in plastic wrap or parchment paper. 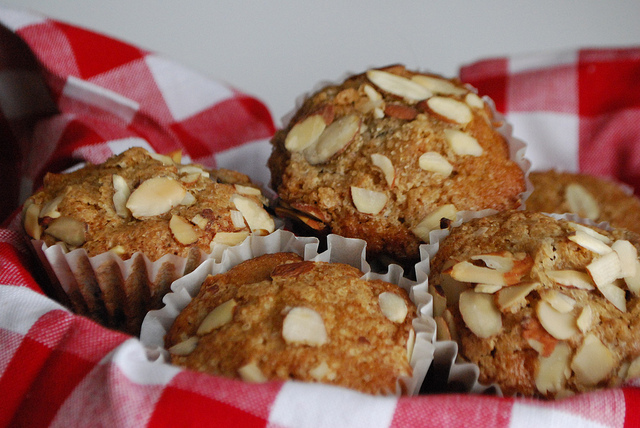 Muffins, even these yummy whole grain ones, aren't the best option for breakfast as protein really is key in the mornings, but if you're short on time or in the mood for a treat they can certainly be delicious! And when made with good flours, nuts, and lots of fruit, they're not too bad. 11. Use apple slices instead of bread to make peanut butter (or sun butter) sandwiches. 13. Cold pancakes! (Make a few extra pancakes and freeze them; in the morning, drop into the toaster and serve wrapped in a napkin as you're running out the door.) This whole grain cinnamon pancake recipe is one of my favorite healthy versions and these buttermilk blueberry pancakes are a wonderful classic recipe. 14. Quick quesadillas: layer cheese and sliced ham, turkey, or chicken between two whole wheat or corn tortillas. Nuke in the microwave for 30 seconds, then cut into corners and serve. If you'd like, you can add a little bit of salsa between the tortillas. 15. Banana wraps! Spread peanut butter on a whole wheat tortilla and wrap it around a whole banana. What do you think about these ideas? And what are your favorite on-the-go breakfasts? (For kids or grown-ups!) Tell me in the comments. Did you enjoy this post? Pin it or share with your friends on Facebook to spread the love!